We are pleased to announce that it has officially been one year since we partnered with Alex and Ani! Happy anniversary to a fantastic partner! Our mission to bring positivity to your lives, with a tangible reminder to stay (Up)Beat right on your wrist, is a success. We are thankful for the amazing Alex and Ani team we have worked with throughout the year and look forward to more success in the future. One year ago, Alex and Ani designed the “Positive Is How I Live” bangle specifically for the Foundation, and to date, over 54,000 bangles have been sold. This beautiful, ornate jewelry features a charm with the word “Positive” in languages from all over the world, transcending cultural barriers to remind everyone to stay (Up)Beat in the face of adversity. After all, smiles and hope are universal, and we all benefit from staying positive during life’s most difficult moments. So many lives have been touched by this simple piece of jewelry. JAF board members and staff have gifted their personal “Positive Is How I Live” bangles to cancer patients and family members during hospital visits and (Up)Beat Outings with the hopes of sharing JAF and Alex and Ani’s upbeat message. Not only does the bangle physically remind its wearers to stay positive, but it also supports our goals of providing financial assistance to cancer patients and their families and helping to fund pediatric brain cancer research. The Foundation receives 20 percent of the proceeds from every $28 bracelet sold. 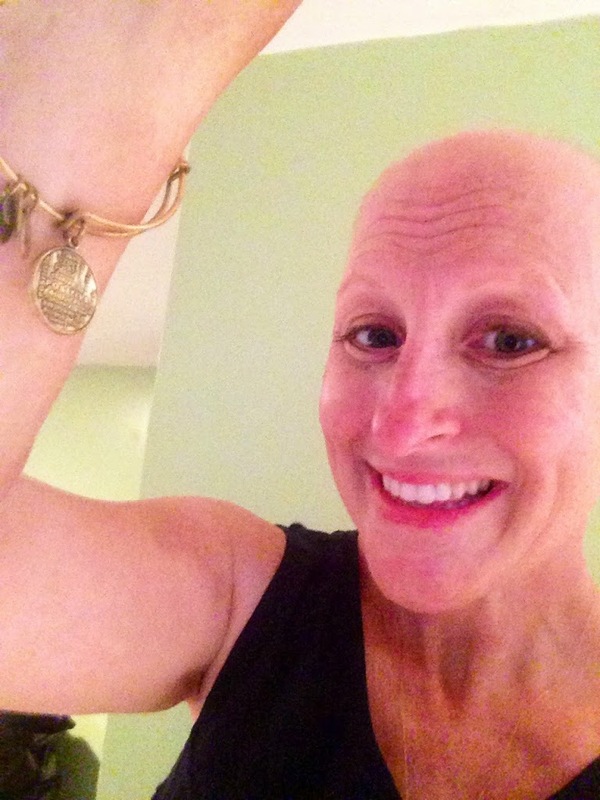 We would love to hear and see how wearing your Alex and Ani bangle has made a difference in your life! Snap a shot of your bangle and tweet it or post it on Facebook using #PositiveIsHowILive and tag @joeandruzzifndn and @charitybydesign to share the positive impact it has made. Today is also a special day for my family and I, as it is Joe’s seven-year anniversary of his last chemo treatment. It’s truly amazing how quickly the time has passed and we are so thankful. With your support, we can continue to help others facing cancer and provide much needed assistance when it’s needed most. Again, we are incredibly thankful to Alex and Ani for partnering with us over this last year and creating our bangle through their Charity by Design program. We cannot wait to see how our partnership continues to grow, and how many people will be inspired with this message of positivity gracing their wrists. What an excellent reminder that we can overcome any obstacle with (Up)Beat persistence and that we have the power to create our own positive lives. Here’s to another year! Check out my guest blog post for Alex and Ani, here: http://www.alexandani.com/blog/. And if you haven’t gotten your “Positive Is How I Live” bracelet yet, make sure you get one today! To learn more and purchase a bangle, visit their website.